One of the most common questions people ask us about traveling to Bora Bora has to do with the weather. We hear “When is the best time of year to go?” all the time. Since the Society Islands of French Polynesia is a tropical environment in the South Pacific you need to consider the humidity, rain, sunshine, and heat. The year round temperature is relatively constant due to its location just south of the equator and the fact that its elevation is only ten feet above sea level. 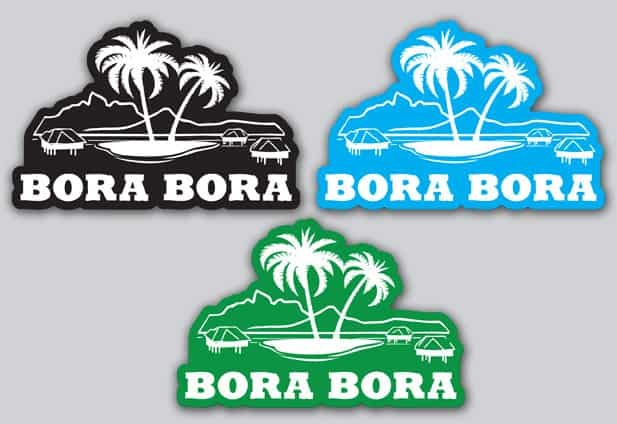 The primary consideration about the Bora Bora weather has to do with the rain and what season you plan on visiting. The average temperature in Summer months is about 85 degrees, and in the drier Winter, the average temperature is about 82 degrees. As you can see, not a huge difference, but just remember you should pack plenty of sunblock and prepare for the sun’s intense rays. You’ll want to apply sunscreen generously throughout the day as it typically comes off when you sweat or if you go in the water. Most rainfall occurs during the Summer months with high humidity. The safest time of the year to visit Bora Bora weatherwise is in the Winter months with the least risk of storms. On a clear night, the stars over Bora Bora feel much closer as they are dazzling because there’s no light pollution like you find in the major cities. Another great part about the weather is that regardless of what’s happening above the surface, the lagoon water temperature hovers in the 80’s on average. If you’ve never been to French Polynesia before and you happen to look at your phones’ weather app and see cloudy or thunderstorms, don’t worry too much. You’ll be happy to know the reporting is somewhat conservative and the weather moves quickly. Much like Florida or other tropical locations, you can see torrential rains in the morning and then it will clear up and be beautiful in the afternoon. We saw some of the most incredible sunsets on a cloudy day in Bora Bora. On the flip side, we’ve also enjoyed a swim in the calmest lagoon water during the morning, got plenty of sunshine in the afternoon, and then watched the evening rains after dinner from our overwater bungalow. Quick Tip – When thinking about when to go to Bora Bora, consider scheduling a trip during the shoulder months (November or April) or off-peak season (summer months). Keep your eyes peeled for special vacation packages or flight deals during these months to save big on your travels.